This image is a bit of an experiment. I shot this at the 2011 North American International Auto Show held at Cobo Hall in Detroit, Michigan. The show always has one day where photographers can get in early. 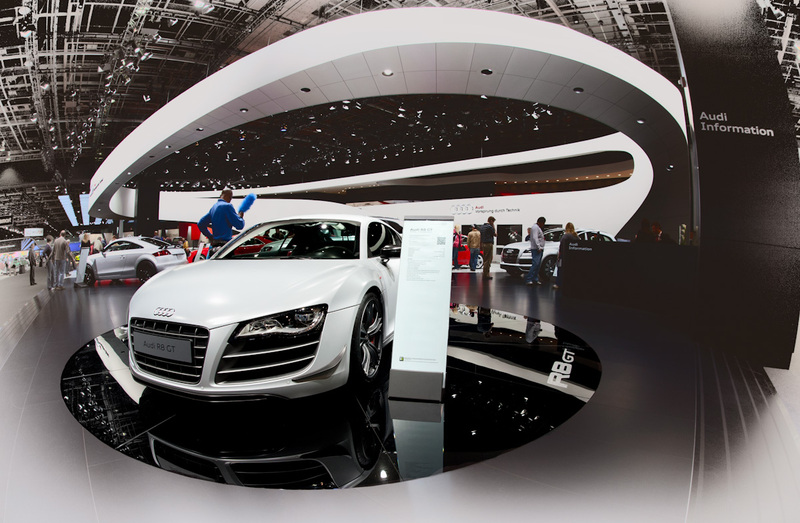 This image was show in the Audi booth using my Sigma 15mm fisheye lens. The man in blue is one of many workers whose job it is to keep the cars clean. I was trying to get a shot without him in the picture, but I finally just went ahead and took a few shots since he wasn’t moving. 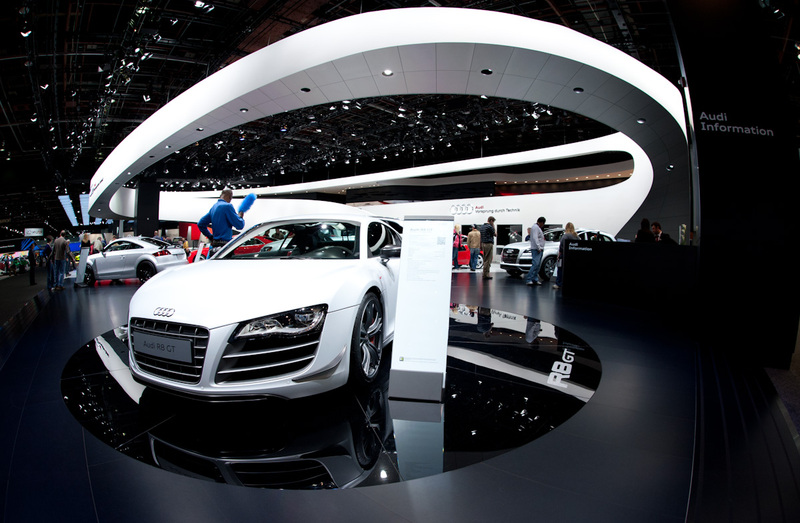 When I was looking overmy images I selected this one because I liked the way the car fit under the white arc of the show booth. For processing, I thought I would try a straight black and white image, but I thought that was too boring. I then experimented with some of the presets in Silver Efex Pro. Just for fun I selected Antique Plate II. This preset adds a sepia tone and a strong reverse vignette. I didn’t like the toning but I did like what the preset did to the ceiling. Classic composition would tell you to make the borders darker to draw the eye to the main subject, but I just liked the way the this looked so I went with it. Back in Photoshop I changed the layer setting from normal to luminosity. This brought back most of the color in the center of the image but left the edges mostly monotone. I did some merging with the original image to bring back the R8 in the foreground. I liked the deeper black of the floor and the Silver Efex Pro processed layer made that more gray than I liked. Overall I’m pleased with how this came out. Click either image to see it in lightbox mode. I like it – the curves of the lens suit the curves of the subject! Wow… really nice, James! I think I’m going to add what you just did to my arsenal! Awesome processing!